Wendell Ison was diagnosed with chronic lymphocytic leukemia (CLL) on June 6, 2006. 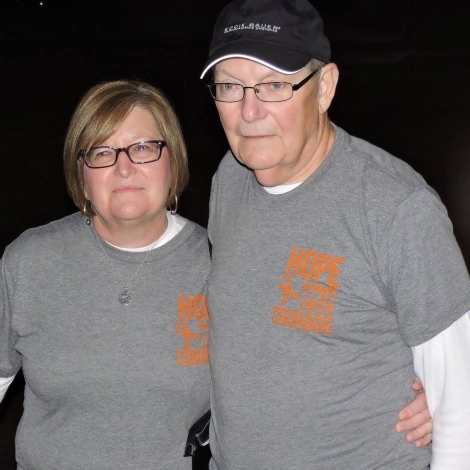 It was through his own battle that he decided to create the team known as "Wendell's Warriors" as a way to give back and make a difference in people's lives by raising money for the Leukemia Lymphoma Society (LLS). This year Wendell's Warriors sponsored their second annual Gospel Sing at Staffordsville Freewill Baptist Church Youth Center. We had great attendance with over 100 people there. We are anxious to go to Pikeville, KY for the Light the Night Walk. It will be our second year there and we are expecting a wonderful time. We are still raising money for the Light The Night Walk. Hope to see you in Pikeville!